Sarah Heathcote is the Deputy Director of the Centre for International and Public Law at the ANU College of Law. Sarah Heathcote’s research and teaching focus on core areas of public international law and the law of international organizations, including aspects of international development law. She has participated in consultancies for law firms and international institutions. Prior to joining ANU Law in 2008, she taught for almost a decade in Geneva, first at the Department of Public International Law and International Organization at the University of Geneva’s Law Faculty and then for Boston University. 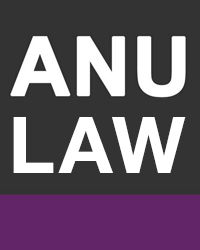 At the ANU College of Law she teaches or has taught, in addition to courses in general international law, International Investment Law, the Law of International Institutions, as well as International Law and the Use of Force; and has published on these and related matters. She has taught and given papers at many foreign universities including Oxford, Cambridge, Université libre de Bruxelles and Université Panthéon-Assas (Paris II). She holds a Masters and a PhD from Geneva. “Est-ce que l’état de nécessité est un principe de droit international coutumier?” 2007/1 Revue belge de droit international, pp.53-89. State of Necessity and International Law, Thèse n° 772, Faculté de droit, Université de Genève, 2005, 506p. (doctoral dissertation - unpublished). ANU Law graduate Camilla Pondel (BMus LLB (Hons) ’16) will spend one year working as Assistant Legal Counsel at the Permanent Court of Arbitration (PCA) in The Hague after she was awarded the ANU College of Law PCA Scholarship for 2018. ANU College of Law alumna Sarah Dobbie has joined three Australian prime ministers, two high court justices and two Nobel Prize winners by becoming a recipient of the Rhodes Scholarships for Australia. This workshop explores how we see customary international law and its evolution in today’s uncertain times. I am willing to supervise.